WABA is a global network of organizations and individuals who believe breastfeeding is the right of all children and mothers and who dedicate themselves to protect, promote and support this right. WABA acts on the Innocenti Declaration and works in liaison with UNICEF. In summary, WHO recommends exclusive breastfeeding for the first six months of an infant's life. Thereafter, local, nutritious foods should be introduced, while breastfeeding continues for up to two years or beyond. Followup formula is therefore unnecessary. In addition, follow-up formula is not a suitable substitute for breast milk, due to its content. The Department of Health's latest online publications include pregnancy, your child's health from birth to five years, and information on feeding. The Infant and Young Child Nutrition (IYCN) Project maintains a collection of useful resources on maternal nutrition, infant and young child feeding, prevention of mother-to-child transmission of HIV (PMTCT), and more. Our collection offers a variety of high-quality training materials, publications, web links, and other helpful resources. Newborn baby’s cries and concern regarding hunger are very delicate issues especially for new mothers; they have a lot of questions related to breastfeeding and child nutrition. These questions often remain unanswered due to lack of access to a doctor, health worker, time or money. Which, in turn, often leads to wrong practices of using external milk or resorting to baby foods. As per Breastfeeding Promotion Network of India [BPNI] and UNICEF training manual, Breastfeeding, if done in a right way, could bring down child mortality by up to 13 %. To address such issues faced by lactating mothers, KEM Hospital Mumbai, UNICEF Maharashtra, Mumbai Breastfeeding Promotion Committee and Tata Consultancy Services collaborated and developed ShishuPoshan, a mobile based Android application. This application provides answers to more than 100 questions, that mothers may have. It also helps mother to connect to trained health workers in select cities in India. In honour of World AIDS Day on December 1st, GOLD Lactation & Breastfeeding Conferences has teamed up with The Mother and Child Health and Education Trust in order to globally share a recording of a GOLD Lactation Conference 2013 presentation on the subject of HIV & Breastfeeding. GOLD Lactation Speaker Pamela Morrison, IBCLC offers us invaluable insight on this topic with her presentation titled "Back to the Future on HIV and Breastfeeding: The findings that transformed policy". Pamela explores the research that influenced HIV and infant feeding policy. She describes a journey spanning promotion of maternal infant feeding choice in the face of an uncertain outcome to a clear recommendation based on up-to-date evidence about child-survival. Twenty-five years later breastfeeding enjoys a renewed endorsement regardless of a mother's HIV-status. We invite you to view this presentation and share this education with your colleagues. Infant and young child feeding is central to child health and, after birth, breastfeeding is the first act of provision by a mother for her child. For most of history no other third party was required to support infant feeding other than the mother and the surrounding family. It is only since the commercial development of breast milk substitutes in the nineteenth century that health professionals have become involved in their prescription. "In recent years, the commercialisation of infant feeding has impacted on professional practice through the development of sponsorship by the Baby Feeding Industry of medical conferences and meetings, along with gifts to health workers. It is the view of ISSOP that this sponsorship is damaging to the reputation of paediatricians, to the health of mothers and infants, and to the status of breastfeeding and this statement explains the reasons why we believe that such sponsorship should be terminated." ISSOP is hopeful that the Position Statement will be used with paediatric societies and associations around the world to ensure that paediatricians and other health professionals avoid conflicts of interest, and protect breastfeeding as one of the most health promoting measures in the field of child health. *The term Baby Feeding Industry refers to all commercial companies which market infant formula or other infant feeding products. Every day, tens of thousands of children, women and men die needlessly for want of simple, low-cost interventions – interventions that are often already locally available. A major contributing factor is that the mother, family caregiver or health worker does not have access to the information and knowledge they need, when they need it, to make appropriate decisions and save lives. UNICEF, WHO and WABA along with the scientific community strongly recommend initiating breastfeeding within a half-hour of birth. Evidence shows that early initiation can prevent 22% of all deaths among babies below one month in developing countries. Every newborn, when placed on the mother's abdomen, soon after birth, has the ability to find its mother's breast all on its own and to decide when to take the first breastfeed. This is called the 'Breast Crawl'. Step 1 - Have a written breastfeeding policy that is routinely communicated to all health care staff. Step 2 - Train all health care staff in skills necessary to implement this policy. Step 3 - Inform all pregnant women about the benefits and management of breastfeeding. Step 4 - Help mothers initiate breastfeeding within a half-hour of birth. Step 5 - Show mothers how to breastfeed and how to maintain lactation, even if they should be separated from their infants. Step 6 - Give newborn infants no food or drink other than breast milk unless medically indicated. Step 7 - Practice rooming-in - allow mothers and infants to remain together - 24 hours a day. Step 8 - Encourage breastfeeding on demand. Step 9 - Give no artificial teats or pacifiers (also called dummies or soothers) to breastfeeding infants. Step 10 - Foster the establishment of breastfeeding support groups and refer mothers to them on discharge from the hospital or clinic. Babies who are breastfed are generally healthier and achieve optimal growth and development compared to those who are fed formula milk. If the vast majority of babies were exclusively fed breastmilk in their first six months of life – meaning only breastmilk and no other liquids or solids, not even water – it is estimated that the lives of at least 1.2 million children would be saved every year. If children continue to be breastfed up to two years and beyond, the health and development of millions of children would be greatly improved. This document brings together essential knowledge about infant and young child feeding that health professionals should acquire. It focuses on nutritional needs and feeding practices in children less than two years of age. Significant programmatic experience and research evidence regarding HIV and infant feeding have accumulated since WHO's recommendations on infant feeding in the context of HIV were last revised in 2006. In particular, evidence has been reported that antiretroviral (ARV) interventions to either the HIV-infected mother or HIV-exposed infant can significantly reduce the risk of postnatal transmission of HIV through breastfeeding. This evidence has major implications for how women living with HIV might feed their infants, and how health workers should counsel these mothers. Together, breastfeeding and ARV intervention have the potential to significantly improve infants' chances of surviving while remaining HIV uninfected. Almost all mothers can breastfeed successfully -- initiating breastfeeding within the first hour of life, breastfeeding exclusively for the first six months and continuing breastfeeding (along with giving appropriate complementary foods) up to two years of age or beyond. Positive effects of breastfeeding on the health of infants and mothers are observed in all settings. Nevertheless, a small number of health conditions of the infant or the mother may justify recommending that she does not breastfeed temporarily or permanently. Whenever stopping breastfeeding is considered, the benefits of breastfeeding should be weighed against the risks posed by the presence of the specific conditions listed. This list of acceptable medical reasons for temporary or long-term use of breast-milk substitutes is made available as an independent tool for health professionals working with mothers and newborn infants, as part of the Baby-friendly Hospitals Initiative. The Department of Child and Adolescent Health, in collaboration with the epidemiology unit in the University of Pelotas, Brazil, conducted this systematic review and meta-analysis of studies to assess the association between breastfeeding and blood pressure, diabetes and related indicators, serum cholesterol, overweight and obesity, and intellectual performance. Two reviewers independently evaluated study quality, using a standardized protocol, and disagreement was resolved by consensus rating. Subjects who were breastfed experienced lower mean blood pressure and total cholesterol, as well as higher performance in intelligence tests. Prevalence of overweight/obesity and type-2 diabetes was lower among breastfed subjects. All effects were statistically significant but for some outcomes their magnitude was relatively modest. The WHO web site presents complete information on the WHO Child Growth Standards. These standards were developed using data collected in the WHO Multicentre Growth Reference Study. The site presents documentation on how the physical growth curves and motor milestone windows of achievement were developed as well as application tools to support implementation of the standards. The following documents describe the sample and methods used to construct the standards and present the final charts. This document translates the aim, objectives and operational targets of the Global Strategy for Infant and Young Child Feeding into concrete, focused national strategy, policy and action plans. Breastfeeding provides the perfect nutrition for your baby and provides many health benefits for both mother and baby. - Initiating breast feeding within the first hour and exclusive breastfeeding can prevent under two mortality. - We believe all mothers know how to feed their child. But do they? Summary: This update provides data on key indicators related to optimal feeding practices for children under five. The update includes a new summary of infant and young child feeding indicators for children 6 to 23 months and reports on Demographic and Health Survey data collected between 1998 and 2004 from 43 countries in five regions around the world: sub-Saharan Africa, North Africa/West Asia/Europe, Central Asia, South/Southeast Asia, and Latin America and the Caribbean. Protecting Infant Health – A Health Worker's Guide to the International Code of Marketing of Breastmilk Substitutes (11th edition) by Annelies Allain and Yeong Joo Kean, 80 pages, illustrated is now available. This popular booklet is designed to make the legal Code language easy to understand. "Protecting Infant Health" shows how active use of the Code can make a difference, protect breastfeeding and save lives. It also discusses current issues such as the Code in the context of emergencies, HIV and breastfeeding, health claims and sponsorship. Visit the IBFAN Publications page for a complete list of resources relating to the International Code. This WHO briefing note is presently being considered for revision by the World Health Organization pending review of new and emerging information on the subject. It has therefore been decided by the Organization to withdraw the current version of the briefing note from its website. Summary: This is the original International Code of Marketing of Breast-Milk Substitutes adopted by the World Health Organization in 1981. Summary: Community-based breastfeeding promotion and support is one of the key components of a comprehensive program to improve breastfeeding practices, as outlined in the WHO/UNICEF Global Strategy for Infant and Young Child Feeding. This report shares experiences and lessons from community-based approaches so that others can use the information to strengthen existing programs and design new ones. The paper will be of particular value to individuals who are interested in studying and applying different models and the results and lessons emerging from them and assessing their applicability in a new setting. This workbook is intended to assist the Canada Prenatal Nutrition Program (CPNP) or similar community based prenatal projects to identify strategies and specific actions to protect, promote and support breastfeeding in a population health context. Population health recognizes the social, physical, economic and individual factors that influence a woman's decision to breastfeed, and her ultimate success with breastfeeding. Summary: This document includes an executive summary and five articles aimed to increase awareness around maternal and child undernutrition and serve as a catalyst for national-level governments, nongovernmental organizations, and the international nutrition community to spur action and stimulate national interest, leadership, and commitment. This resource offers publications on recommended feeding and dietary practices to improve nutritional status. Policy makers, health care providers, and communicators can use these guidelines for developing messages and activities appropriate to local conditions. Summary: These seven short leaflets provide general information on topics relevant to infant and young child nutrition for parents and health workers. This Model Chapter brings together essential knowledge about infant and young child feeding that health professionals should acquire as part of their basic education. It focuses on nutritional needs and feeding practices in children less than two years of age – the most critical period for child nutrition after which sub-optimal growth is hard to reverse. The Model Chapter is organized in nine sessions according to topic areas, with scientific references at the end of each section. These references include articles or WHO documents that provide evidence and further information about specific points. This document brings together essential knowledge about infant and young child feeding that health professionals should acquire. It focuses on nutritional needs and feeding practices in children less than two years of age. This course replaces the “18-Hour Course”. Can be used by facilities to strengthen the knowledge and skills of their staff towards successful implementation of the Ten Steps to Successful Breastfeeding and the International Code of Marketing. This course is an adaptation from WHO course "Promoting breast-feeding in health facilities: A short course for administrators and policy-makers". It can be used to orient hospital decisions-makers (directors, administrators, key managers, etc.) and policy-makers to the Baby-friendly Hospital Initiative and the positive impacts it can have and to gain their commitment to promoting and sustaining "Baby-friendly". The course material includes a Course Guide and eight Session Plans with handouts and PowerPoint slides. Two alternative session plans and materials for use in settings with high HIV prevalence have been included. This course is designed to provide health workers with the skills needed to support mothers and their children to breastfeed optimally. It includes guides for the course director and trainers, a participant’s manual, a booklet with overhead figures, a slid book and annexes. This educational tool is downloadable without charge. Visitors are invited but not required to help this tool to continue to be available by donating any amount they wish to Wellstart International, a US based 501(c) (3) non-profit organization that is compliant with the International Code of Marketing of Breastmilk Substitutes. Users are also requested to send your name, professional school that you are affiliated with and an e-mail address to [email protected] so that we may send you updates and alerts about relevant new materials and references. Summary: These materials include clinical algorithms geared for health workers (not lay counselors) to use to counsel mothers and determine the most appropriate time to stop breastfeeding; an adaptation and finalization of the World Health Organization (WHO) Infant and Young Child Feeding Counseling: An Integrated Course, including new chapters on complementary feeding and country-specific recommendations; adaptations and local drawings/graphics inspired by the WHO counseling cards; and take-home brochures for mothers on exclusive breastfeeding, expressing breastmilk, and replacement feeding. The set also introduces a new follow-up form to be used at monthly postpartum visits for all infants of HIV-positive mothers. Please contact [email protected] to request a copy of the adapted and finalized World Health Organization (WHO) Infant and Young Child Feeding Counseling: An Integrated Course. Dona International - Doula: a knowledgeable, experienced companion – who stays with the mother through labor, birth and beyond. Hesperian Health Guides is a nonprofit health information and health education source that develops accessible materials in many languages. 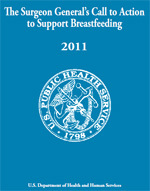 Access free information in Hesperian's related to breastfeeding and newborn health. This fact sheet aims to raise awareness about breastfeeding to prevent and treat diarrhea. One in a set of introductory resources, it provides stakeholders and policymakers in the world’s poorest countries with crucial information on a proven intervention in the fight against diarrheal disease. This document outlines the protective properties of breast milk, particularly its role in preventing acute diarrhea and reducing persistent diarrheal episodes among infants and young children up to two years of age. Alive & Thrive focuses on three technical areas to save lives, improve health and nutrition, and reduce stunting. Summary: The guiding principles have been prepared to help prevent increased morbidity and mortality among infants and young children affected by an emergency. They serve as a basis for action and are intended to clarify that optimal practices for feeding infants and young children during emergencies are essentially the same as those that apply in other, more stable conditions. The document seeks to inform decision makers about key interventions and sustaining optimal infant and young child feeding during emergencies. Summary: This document distills information from discussions at several technical meetings and technical documents on complementary feeding. It covers the duration of breastfeeding and the age complementary foods should be introduced; continued breastfeeding during the 6–24 month period; responsive feeding; feeding during and after illness; the safe preparation and storage of complementary foods; the use of micronutrient supplements; and the amounts, types, frequency, and consistency of complementary foods. Ashworth A, Feachem R. Bulletin of the World Health Organization. 63(6):1115–1127. UNICEF - April 2013 - There is compelling scientific evidence that optimal breastfeeding of infants under one year could prevent around a million deaths of children under-five in the developing world. Yet global rates of breastfeeding rates have remained stagnant. Why has strong scientific evidence about the benefits of breastfeeding not translated into political and donor commitments at the global level and in high burden countries? What can the global breastfeeding policy community do to augment attention and commitment to this priority? In the United States, most mothers want – and try – to breastfeed. Unfortunately, one mother's interest alone is not always enough to make breastfeeding possible. Rates of breastfeeding in the United States vary widely because of the multiple and complex barriers mothers face when starting and continuing to breastfeed. The information below summarizes some of the key findings and action steps from the Surgeon General's Call to Action to Support Breastfeeding. Every year, about 3.7 million babies die in the first four weeks of life (2004 estimates). Most of these newborns are born in developing countries and most die at home. Up to two-thirds of these deaths can be prevented if mothers and newborns receive known, effective interventions. A strategy that promotes universal access to antenatal care, skilled birth attendance and early postnatal care will contribute to sustained reduction in maternal and neonatal mortality. While both mothers and newborns need care during the period after birth, this Statement focuses on the care of the newborn child, and the evidence for the same. Studies have shown that home-based newborn care interventions can prevent 30–60% of newborn deaths in high mortality settings under controlled conditions. Therefore, WHO and UNICEF now recommend home visits in the baby’s first week of life to improve newborn survival. This Joint Statement includes information on how to care for the newborn child at home, specific recommendations for countries, and next steps. identify and support newborns that need additional care (e.g. those that are low-birth-weight, sick or have an HIV-infected mother). Summary: These two brochures (originally developed by the Government of Kenya, UNICEF, and PATH) are being disseminated to mothers and families through IYCN and APHIA II Western facility and community-based activities. One brochure focuses on infant feeding during the first six months of life and the other focuses on infant feeding after 6 months. Summary: This toolkit includes nine booklets on different nutrition topics, including nutrition project design, basic facts (nuts and bolts in nutrition), economic analysis, growth promotion (child), food supplements, food stamps, monitoring and evaluation, nutrition communications, and school nutrition. Summary: This article, published in the Journal of Human Lactation, revealed results of a controlled clinical trial in Brazil on the impact of a hospital-based breastfeeding education program for fathers. Summary: This Micronutrient Update, which continues where the May 2002 Micronutrient Update left off, presents information on women and children from Demographic and Health Surveys conducted between 2000 and 2005. Summary: This is a reference manual for major nutrition interventions to improve maternal and infant and young child nutrition. The document provides background information on the role of nutrition in child survival, priority nutrition interventions, how to strengthen and integrate nutrition in district health services, how to work in the community and suggested community activities, and tools and instruments to support nutrition interventions. Summary: These posters from ZVITAMBO contain key, consistent messages that are geared towards mothers, health workers, and other family and community members. The posters are supplemented by simple brochures. The following publications are from LINKAGES Project. Click here for a complete list of their publications. The guide offers detailed guidance for users of the “Policy Analysis Tool for Calculating the Health, Child Spacing, and Economic Benefits of Breastfeeding (BOB)” and identifies the main features of the tool’s seven worksheets and the basis for calculations. This spreadsheet tool consists of seven worksheets: 1) introduction, 2) assumptions, 3) breastmilk production, 4) health, 5) survival, 6) fertility, and 7) summary. The spreadsheets estimate the effects of breastfeeding on a variety of functional outcomes with public policy significance. This book was developed in Zambia to be given to pregnant and breastfeeding mothers at antenatal and child health clinics. Trains trainers in behavior change communication skills, training techniques, and infant feeding. Includes field visits, practice training, and action planning exercises. Published by the INFO Report, this report describes how programs and providers can help women improve breastfeeding practices. Identifies actions health care providers can take during the first week postpartum to help the mother and baby establish and maintain good breastfeeding practices. These counseling cards were developed in collaboration with many partners for the Altiplanto region of Bolivia. Reviews the latest information on the transmission of HIV via breastfeeding and provides programmatic guidance for field activities. Focuses on the impact of maternal nutrition on breastmilk quantity and quality, the nutritional requirements of lactating women, the impact of breastfeeding on maternal health, and implications of this information for programs. This publication produced by the INFO Project provides answers to questions frequently asked about breastfeeding. Recommends national, community, and household level practices to improve vitamin A status of infants, young children, and pregnant and lactating women. This document was prepared for the 15th anniversary celebration of the Innocenti declaration. It assesses the progress in achieving the Innocenti targets, examines the current challenges and reinforces the need to act rapidly in support of infant and young child feeding. Summarizes evidence-based literature regarding the best age to introduce complementary (semi-solid and solid) foods into the diet of the breastfed infant. Author(s): A. Naylor, ed. and A. Morrow, co-ed. Identifies essential nutrition and health actions for pregnant and lactating women that contribute to the achievement of five nutrition-related outcomes. Summary of 70 page paper, Essential Health Sector Actions to Improve Maternal Nutrition in Africa. These counseling cards were developed for use with fathers, to encourage their support of breastfeeding and maternal nutrition. They tell fathers what they can do during pregnancy and breastfeeding to support the health of their wives. Describes the process LINKAGES' Madagascar program undertook to link the costs of its interventions with the resultant changes in infant feeding behaviors. Describes what mainstreaming means and how mainstreaming lends itself to the replication, scale up, and sustainability of project innovations. Describes the conceptual framework for policy change, identifies the main policy issues related to IYCF, discusses LINKAGES strategies to address policy dialogue challenges, and summarizes lessons learned. Please click on the Technical Initiatives link above to view slide presentations from EXPO LINKAGES. This Facts for Feeding describes optimal feeding behaviors during and after illness, challenges of feeding during these times, special considerations for common illnesses, and guidelines for counseling caregivers. This most recent publication in the Facts for Feeding series provides guidance on breastmilk feeding options to ensure that low birth weight babies receive the attention needed to survive, grow, and develop. Trains participants to conduct formative research using effective communication skills in order to collect information to plan and improve programs. This set of eight counseling cards was developed to address infant feeding problems found in northern Ghana. For further information on the development of messages and materials in northern Ghana, see this case study (in PDF). These counseling cards were developed to share breastfeeding and infant feeding messages with grandmothers and traditional birth attendants (TBAs) in Ghana. Provides feeding guidelines for children 6 to 24 months of age. Summarizes available research on specific interventions intended to improve four key breastfeeding behaviors. Large-scale community-level behavior change programs designed to improve breastfeeding practices were implemented in Bolivia, Ghana, and Madagascar. This study describes success stories from these various areas. These counseling cards produced by CARE were used for house visits in India. This set of 15 13x10" counseling cards was used during community breastfeeding promotion activities in India by CRS. This set of 11 counseling cards in Hindi was used by CRS during community breastfeeding promotion activities. No English translation is available. These counseling cards were developed in collaboration with World Vision to provide age-specific messages on infant feeding. No English translation is available. This infant feeding in emergencies module prepares all emergency relief staff, both international and locally recruited, to safeguard maternal and child health in emergencies by ensuring appropriate infant feeding. It is appropriate for decision-makers, regional managers, logistics officers, camp administrators, and all whose work involves care for mothers and children. LINKAGES contributed to the interagency working group on Infant Feeding in Emergencies and the UN Sub Committee on Nutrition Working Group on Emergencies to prepare this module which can be obtained by visiting the Emergency Nutrition Network website,http://www.ennonline.net/ife/index.html. This module aims to provide health and nutrition workers with the basic knowledge and skills to help both breastfeeding and artificially feeding women. The intended audience is health and nutrition workers who are directly concerned with the care of mothers/caregivers and infants. The module can be obtained by visiting the Emergency Nutrition Network website, http://www.ennonline.net/ife/module2/index.html. This manual is designed to permit organizations to carry out routine monitoring of key infant feeding behaviors: Exclusive Breastfeeding, Timely Initiation of Breastfeeding, and Timely Complementary Feeding. Provides brief summaries of the available research from 51 studies on specific interventions intended to influence four key breastfeeding behaviors. This plenary presentation from EXPO LINKAGES highlights activities from the project's various country programs. A full report on LINKAGES infant feeding and HIV/AIDS programs in Zambia. This publication documents the major elements of the LINKAGES-AED program in Madagascar. It is useful to planners and programmers interested in improving breastfeeding and other nutritional practices at large scale. This Spanish manual serves as a reference and counseling guide for health care personnel and community health workers promoting breastfeeding and LAM, a postpartum contraceptive method for women who breastfeed. Discusses the causes and consequences of iron deficiencies in infants and young children (less than 2 years old) and recommends actions to prevent and treat it. Aproximadamente entre una cuarta parte y la mitad de las muertes durante el primer año de vida ocurren en la primera semana. Muchas de las intervenciones que mejorarán la salud y la supervivencia de los recién nacidos tienen un costo relativamente bajo y es factible implementarlas. Una de ellas es la lactancia materna inmediata y exclusiva. Esta intervención también puede ayudar a las mujeres al minimizar la hemorragia que tiene lugar inmediatamente después del parto, una de las causas más comunes de mortalidad materna. These counseling cards were used in Nepal to promote messages on breastfeeding, complementary feeding and maternal nutrition. LINKAGES and its partners developed nutrition protocols to remind workers of information to be shared and procedures to be followed at six contact points with mothers: 1) antenatal, 2) immediate postpartum, 3) postpartum and family planning, 4) immunization, 5) growth monitoring/well child, and 6) sick child consultations. This protocol covers such topics as infant and young child feeding, micronutrient supplementation, and maternal nutrition, specifically for regions of high HIV prevalence. LINKAGES and its partners developed nutrition protocols to remind workers of information to be shared and procedures to be followed at six contact points with mothers: 1) antenatal, 2) immediate postpartum, 3) postpartum and family planning, 4) immunization, 5) growth monitoring/well child, and 6) sick child consultations. This protocol covers such topics as infant and young child feeding, micronutrient supplementation, and maternal nutrition, specifically for regions of low HIV prevalence. LINKAGES and its PROCOSI partners in Bolivia used this survey form to gather information on infant feeding practices among mothers of infants less than 12 months old. LINKAGES and the ESHE Project used these 4 survey forms in Ethiopia for household interviews and interviews with mothers of infants 0–11 months, 12–23 months, and 24–59 months old. The program in Ethiopia was within a broad nutrition and child survival context which is reflected in the surveys. LINKAGES and its partners in Ghana collected information on infant feeding knowledge and practice among mothers of infants less than 12 months old, fathers, and grandmothers. LINKAGES and its partners in Madagascar developed questionnaires for mothers of children 0–5 months, 6–11 months, 12–23 months old. The program in Madagascar was within a broad nutrition and child survival context which is reflected in the surveys. LINKAGES and its partners in Tanzania developed a questionnaire for mothers of infants less than 12 months old on infant feeding practices, reproductive health, and HIV. A questionnaire for adults in the community focused on HIV knowledge, attitudes, and practices; use of HIV counseling and testing services, and attitudes on mother-to-child transmission of HIV. LINKAGES and the District Health Management Board in Zambia conducted a baseline survey prior to launching Act Now!, a media campaign. The survey form was used with mothers of infants less than 12 months old and included questions about antenatal care and infant feeding practices and knowledge about mother-to-child transmission of HIV. As part of the Ndola Demonstration Project, LINKAGES developed clinic and community-based surveys to gather information on infant feeding practices, knowledge of mother-to-child transmission of HIV, and use of HIV services. Questionnaires were designed for use with pregnant women, mothers of infants 0–5 months and 6–11 months of age, and adults in the community. This paper identifies a set of recommended feeding and dietary practices to break cycles of poor health and nutrition that pass from generation to generation. It also provides the scientific evidence to support the recommendations. Provides infant feeding guidelines for the first six months of life. Provides guidelines for activities appropriate to local conditions. This first CHNRI Research Brief reports on LINKAGES' activities in Madagascar that uses an integrated approach to improve breastfeeding rates. Focuses on LAM as a modern, temporary family planning method for women who breastfeed, and is addressed to the child survival and family planning health care providers. The purpose of this training module is to strengthen the capacity of facilitators/trainers to plan, organize, and conduct training of health care workers who implement programs in infant and young child feeding, essential nutrition actions, the lactational amennorhea method, and/or prevention of mother-to-child transmission of HIV. The opening plenary presenation of EXPO LINKAGES. Describes LINKAGES' infant and young child feeding activities with PROCOSI, a network of local and international health organizations in Bolivia (1998-2003). Describes LINKAGES' essential nutrition actions program with the Ministry of Health and other local partners in Ethiopia. Describes LINKAGES' breastfeeding promotion and protection activities with the Ghana Health Service and other local partners in Ghana (1997-2004). Describes LINKAGES' infant feeding and HIV programs with central and district health, AIDS, and nutrition agencies in Zambia.